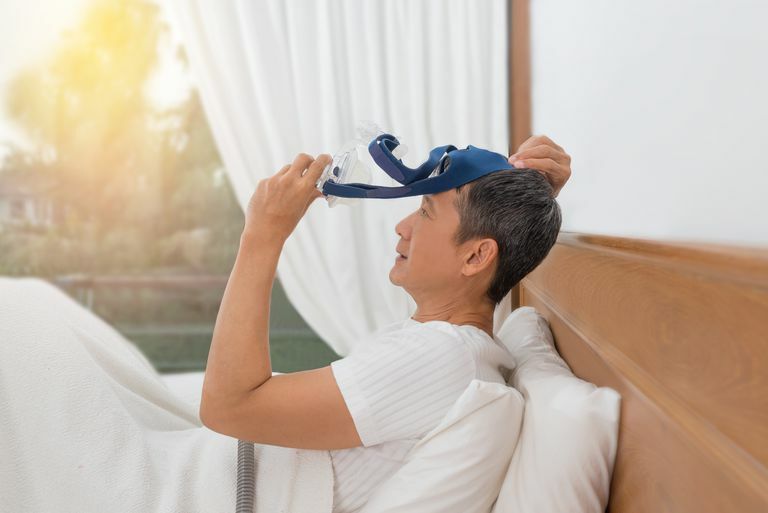 If you have ever wondered how much people are seeking an alternative to using their continuous positive airway pressure (CPAP) machines to treat sleep apnea, you need not look any further than the interest generated in a new product called Airing. What is the Airing Micro-CPAP device? Learn about the potential promise of this technology and the many lingering questions about its viability as a new treatment option. Invented by Stephen A. Marsh, the Airing Micro-CPAP is proffered as an alternative to standard CPAP therapy. It is touted as a hoseless, maskless, and cordless device that can effectively treat obstructive sleep apnea. It has no described role in treating central sleep apnea, complex sleep apnea, or Cheyne-Stokes respiration. Its inventor has applied the technology of micro-blowers to its design. These are typically used for heat regulation to prevent overheating of computer chips. By putting hundreds of these micro-blowers in parallel within a small casing, sufficient filtered airflow could be generated that may treat sleep apnea when delivered into the airway via nasal plugs. The device is anticipated to be small, measuring just 2 inches in length, 1.5 inches in width, and 1 inch in height. It may weight as little as 0.9 ounces. With its internal battery, it is stated to have a run time of more than 8 hours. Though there is a great deal of interest and media coverage about the Airing device, it is in the preliminary stages of development. The company’s information suggests that they are still actively developing a working prototype. This suggests that beyond the theory and the photography mock-ups, such a working prototype does not yet exist. It may encounter significant problems as the product is developed. It is suggested that the Airing Micro-CPAP will be disposable after one night of use. It will be powered by a battery, and with nightly disposal, no cleaning will be required. It is suggested that the device is recyclable, but with plastic, metal, and battery components, it is very unclear how that would be possible. Though there is no hose or power cord, the device itself is, in fact, a mask. It is similar in design to many nasal pillow masks used with CPAP. Sizing may be an issue, as it is with most mask designs. It is unclear how well it will stay placed in the nose, especially when not sleeping on one’s back. For patients who breathe through their mouths, as most patients with snoring or sleep apnea initially do, it is very likely that air and pressure will escape. Though many learn to breathe through their noses again, nasal congestion or a deviated septum may preclude this. Many who use CPAP require the use of a full-face mask or chinstrap. The company does not seem to address this possibility. It is very unclear how the Airing device will create the precise positive airway pressure that is needed. It is unknown how the settings will be applied, including those ordered by sleep specialists after standard testing. (In fact, the company’s materials suggest that a pressure for standard CPAP machines range from 1 to 20 cm of water pressure, which is simply not true. This may reveal unfamiliarity with standards of therapy for sleep apnea.) It is not known if the Airing can provide a self-adjusting pressure range, as most modern CPAP devices can. The company suggests that no additional humidification is provided or necessary. It is stated that the user will simply rely on the nasal passage to humidify the air. This fails to recognize that pressurized air, especially if it escapes through the mouth, will quickly lead to uncomfortable dryness. It seems impossible for a water chamber to be attached to such a small thing. According to a timeline provided by the company in 2017, the Airing Micro-CPAP will not be available for at least 2 years. Realistically, this is likely an optimistic prediction for a number of reasons. After a successful funding stage, raising more than $1 million and continuing to raise money from numerous hopeful individuals, the work now begins. A functional prototype, not just an attractive photo based on a theory, must be created. Some of the issues described above could delay this even longer. In order to be available to the public, the Airing Micro-CPAP must go through FDA clearance and approval. It was hoped that this could be done based on existing technology and be approved by January 2017, yet this has not occurred to date. This could be a lengthy process, especially if serious questions need to be addressed and clinical research trials are required. The Airing will require a physician’s prescription, just like existing treatments for sleep apnea. As of October 2018, the company announced that they had secured additional funding to add engineers to their team and new equipment, like a 3D laser scanning microscope for surface roughness assessments of materials. They continue to have difficulty in developing the micro-blower technology but remain hopeful. The year prior, they announced that several other parts of the device were prototyped and working. Ultimately, who will pay for these devices? This requires getting insurance companies on board with the technology. As has been demonstrated with other recent products, including Provent and Winx, this can be a very tough road indeed. At an anticipated cost of $3 per nightly use, it is proposed that it will cost the user 60 cents after 80% insurance coverage for durable medical equipment (though this is not “durable” and may not qualify). The Airing could cost the average person from $200 to more than $1000 per year, depending on actual insurance reimbursement and product costs. Compared to existing CPAP therapy, it’s not cheap. The company has repeatedly missed development milestones and expected ship dates. Time will tell whether it proves to be possible for this new technology to become the effective treatment that it promises to be. In the meanwhile, we wait for optimized design, FDA approval, and the development of a production process and reimbursement scheme that will likely extend for years. Airing Micro-CPAP is a product in development that is hoped to be an alternative to the traditional CPAP. The small device hopes to utilize micro-blowers, similar to those used for computer cooling, to provide sufficient airflow to treat sleep apnea via nasal plugs. This technology is likely years away from FDA approval. Individuals are discouraged from supporting their ongoing fundraising efforts. If you have any questions regarding treatment of sleep apnea or alternatives to the CPAP, talk to your doctor or a sleep specialist. "Airing Revolutionary Micro-CPAP Airing." Airing. "A very important technical update." Airing. October 26, 2017. Marsh S. "Technical Update October 2018." Airing. October 24, 2018.